Summertime isn’t quite here yet, but it’s never too early to start preparing awesome beach looks. If you’re anything like us, you spent your teen years wrapping and weaving hemp bracelets with all kinds of beads and angles. They’re perfect for tying on and leaving all summer and the more weathered they get, the more awesome they look. 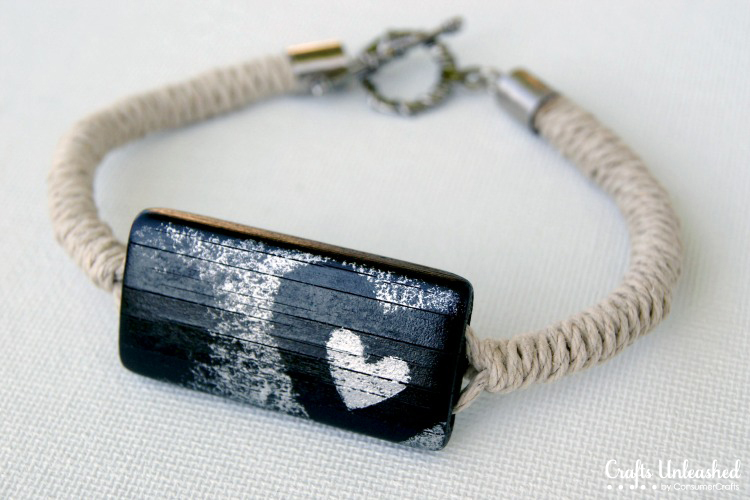 Check out these awesome hemp bracelet designs that you’ll love whether they’re new or worn in! 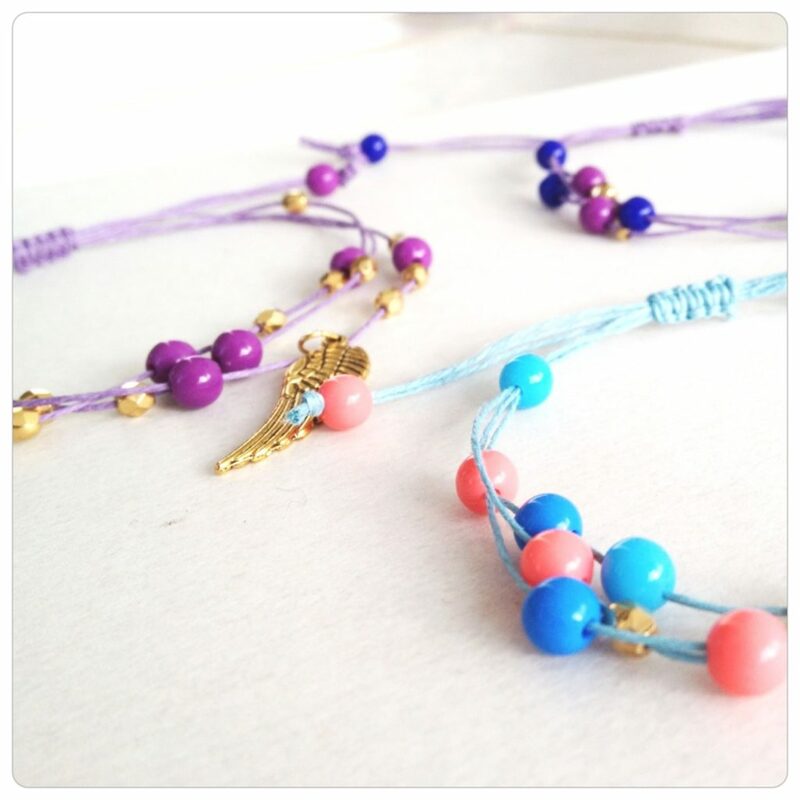 Crafts Unleashed shows you how to use double stranded braiding and beads to create a delicate bracelet for your ankle. Do you prefer hemp bracelets that don’t stay on all season? These button clasp ones from Happy Hour Projects are perfect for you. 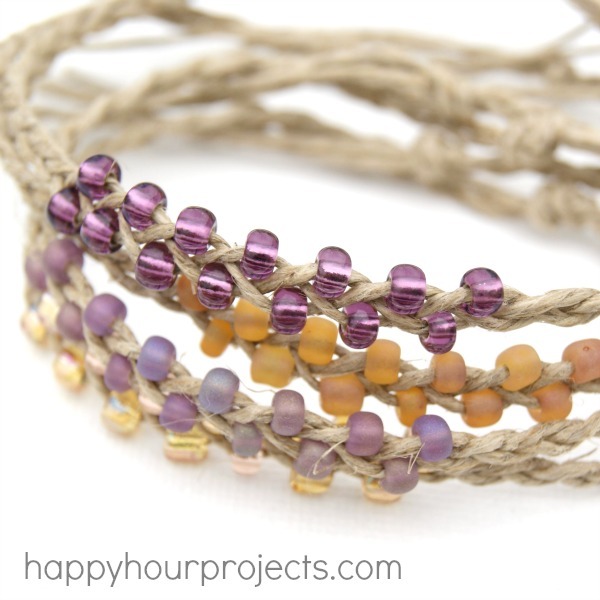 Happy Hour Projects shows you how to make super simple hemp bracelets with braids and beads. These are great for beginners! Are you looking for a pattern that’s a little more challenging? 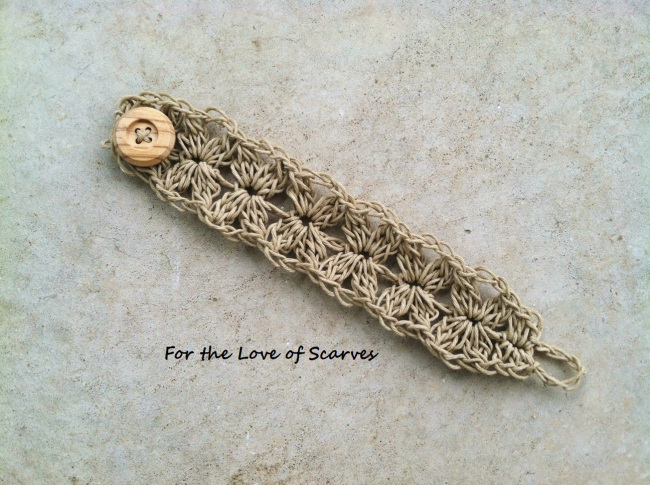 This intricate cuff pattern by For the Love of Scarves is nothing short of gorgeous! Do you prefer a more bohemian style than pretty braids? Knots and beads are perfect. 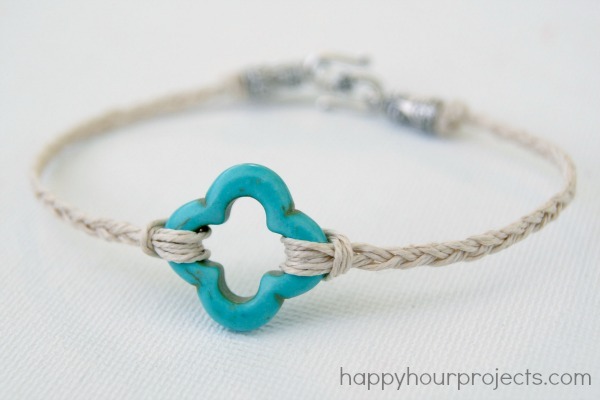 This tutorial from Happy Hour Projects also shows you put in a clasp so you can take it on and off! 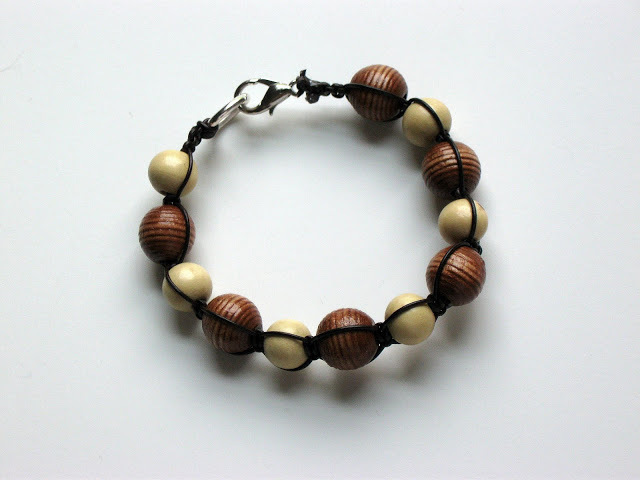 Crafts Unleashed shows you how to create a thick, rounded bracelet with a gorgeous bamboo tile accent piece in the center. 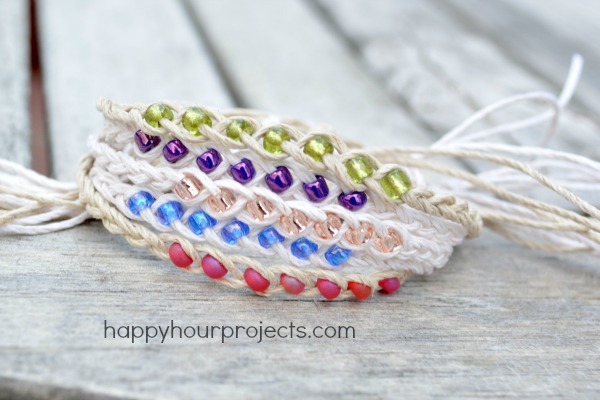 Happy Hour Projects shows you how to make tiny hemp wish bracelets using the same braiding technique you’ve seen on this list before. For these ones, however, you’re sliding the beads into the center of the braid rather than each side. This tutorial from Yes Missy shows you how to create a sliding bracelet that comes one and off easily. The multiple strands also make for an adorable beaded look. Using a bead with a hollow center lets you loop the hemp through it for easy beading. Quickly braid the rest and you’ll have a bracelet in ten minutes! Happy Hour Projects shows you how to do it. 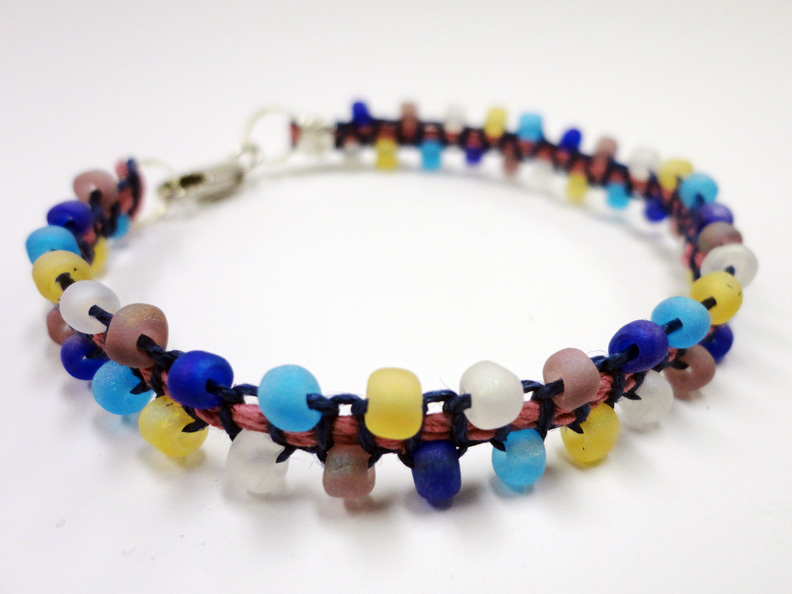 This pattern from How To Make Jewelry shows you a great, stylish knotting technique for between beads. 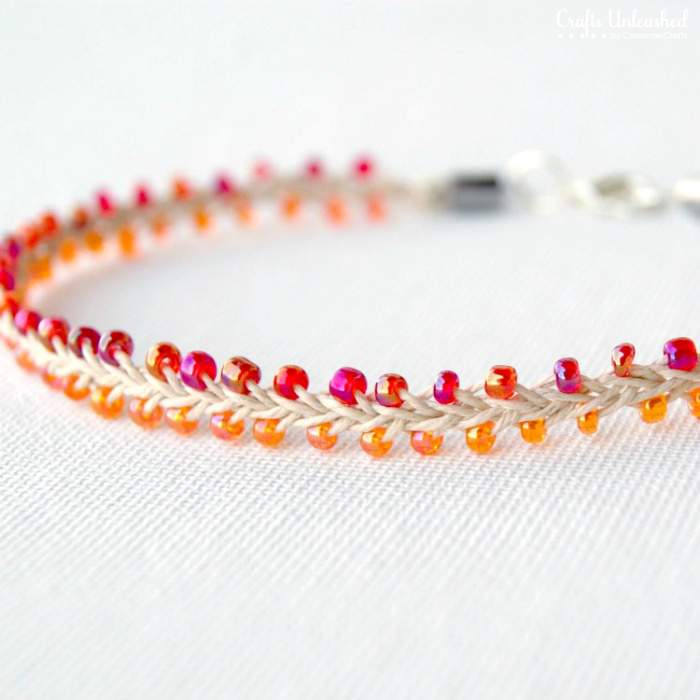 Using two different colours of hemp is a great way to spice up a simple beaded look. Find out how to make this one on Cosplay Supplies. 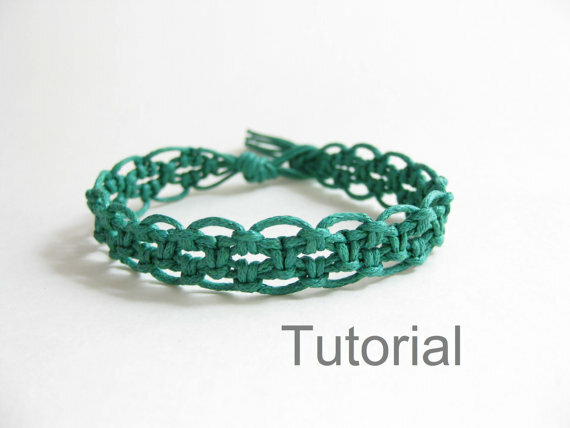 Knot Only Knots has a tutorial to guide you through the process of making this intricate looking lacy hemp bracelet. A big knot at one end and a loop at the other makes it removable! Untrendy Life reminds you that the same macrame knotting techniques you use to make hemp bracelets can be done with leather cord too for a thinner look. 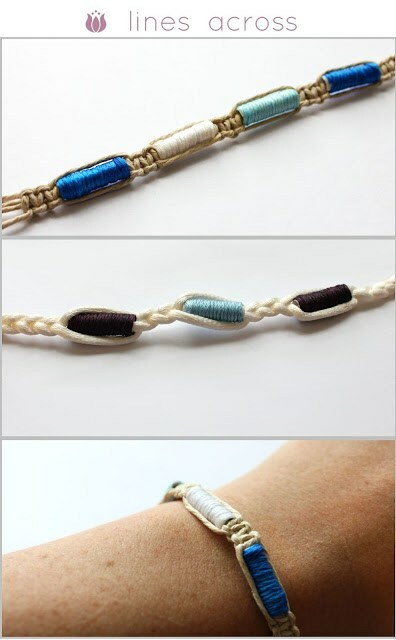 Lines Across has a tutorial that not only teaches you to weave a simple hemp bracelet, but also shows you how to make your own beads from embroidery floss. They look perfect together! Learning Center shows you a great method for combing two different colours of hemp woven together. 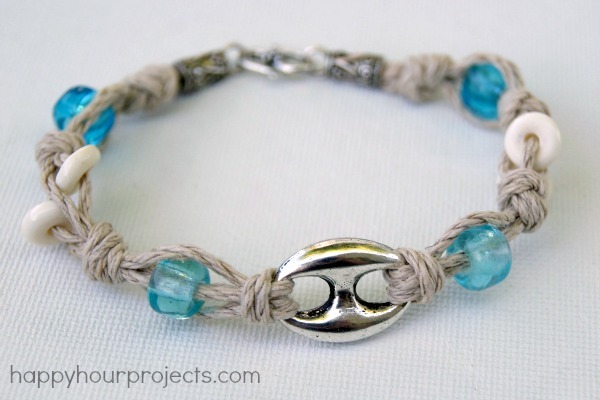 Have you made other woven hemp bracelet creations? Tell us about how you did them or link us to pictures of your work in the comments section!